The global population of cephalopods—a group of animals that includes octopus, squid and cuttlefish—has been slowly but steadily growing for more than 50 years, new research shows. The growth of these populations may be due in part to increasing temperatures, says Bronwyn Gillanders, a researcher at the University of Adelaide in Australia. Warmer waters allow some cephalopods to grow more quickly, get bigger and live longer, she says. For example, Humboldt squid, (Dosidicus gigas), also known as jumbo squid, have increased in size and may live twice as long now than they did decades ago, a trend which scientists think is due to warmer water temperatures caused by the El Niño climate oscillation. Prior to the late 1990s, fisherman in South America sought jumbo squid that generally reached weights of four pounds. But since that time, there are many more large Humboldt squid, which can weigh more than 80 pounds, Gillanders says, and those can live two years as opposed to one year, as they used to. The increase in world cephalopod populations may also be due to the decline in some fish species that prey upon the creatures, says Gillanders, lead author of a study describing the finding, published May 23 in the journal Current Biology. It’s unclear exactly what effects this may be having in different areas of the ocean, and whether or not these effects are positive or negative. On the one hand, the animals are “are voracious predators and could impact many prey species,” Gillanders says. But “increases in cephalopod abundance may benefit marine predators which are reliant on them for food, as well as humans” who fish and eat them, she adds. Most cephalopods are also cannibals, so it’s possible the cannibalism may help check further increases in growth, Gillanders adds. Ocean acidification, which is caused by the increase of carbon dioxide in the atmosphere, may hurt cephalopods, but research is just beginning to address this topic, she says. As levels of carbon dioxide rise in the atmosphere due to fossil fuel burning and other human-caused pollution, it changes water chemistry, hurting survival of crab larvae. The Dungeness crab fishery could decline West Coastwide, a new study has found, threatening a fishing industry worth nearly a quarter-billion dollars a year. Scientists at the Northwest Fisheries Science Center in Seattle found that pH levels likely in West Coast waters by 2100 at current rates of greenhouse-gas pollution would hurt the survivability of crab larvae. Increasing ocean acidification is predicted to harm a wide range of sea life unable to properly form calcium carbonate shells as the pH drops. Now scientists at the NOAA’s Northwest Fishery Science Center of Seattle also have learned that animals with chitin shells — specifically Dungeness crabs — are affected, because the change in water chemistry affects their metabolism. Carbon dioxide, a potent greenhouse gas, is pumped into the atmosphere primarily by the burning of fossil fuels. Levels of atmospheric C02 have been steadily rising since the Industrial Revolution in 1750 and today are higher than at any time in the past 800,000 years — and predicted to go higher. That in turn likely would cause a decline in the population of a fishery that is of economic importance to tribal and nontribal fishers alike. The total value of the 2014 Dungeness crab catch in Alaska, California, Oregon and Washington was $211.5 million, according to data provided by NOAA fisheries. Dungeness crab, Cancer magister, is a denizen of coastal and Puget Sound waters. Adults occur in the inshore waters where pH today in summer can be as high as 7.6, but in the future, are predicted to lower to 7.1. University of Washington fishery scientist Ray Hilborn has responded to Greenpeace’s accusation that he often fails to disclose industry funding when writing or speaking about the extent of overfishing. “Greenpeace is unable to attack the science I and my collaborators do; science that threatens their repeated assertions that overfishing is universal and that the oceans are being emptied,” he said in a response on his blog. The timing of Greenpeace’s attack is not random, said Hilborn; in two weeks he will receive the International Fisheries Science Prize at the World Fisheries Congress. If he were to disclose these — and all of the environmental NGOs, private foundations, and government agencies which have helped fund research — the list would be longer than the papers themselves, he said. After suffering a series of defeats in which US government Science bodies demolished Greenpeace claims of overfishing and habitat destruction in US waters, Greenpeace has turned on Univ. of Washington Professor Ray Hilborn. Hilborn is the foremost scientific advocate of fisheries stability and has contributed to worldwide understanding that when fisheries quotas and habitat protections are enforced, stocks recover and can be fished sustainably. Greenpeace lost a major battle and public relations campaign recently over Bering Sea Corals when a huge scientific effort undertaken by NOAA decisively showed the claims of habitat destruction by Greenpeace were unfounded. This embarrassed Greenpeace in front of its retail partners— to whom it had described the Bering Sea Coral campaign in apocalyptic terms as a do or die mission to preserve the Bering Sea. In two weeks, Prof. Hilborn will receive the International Fisheries Science Prize at the World Fisheries Congress in Busan, South Korea. This prize is awarded every four years by a consortium of international fisheries science organizations. The award to Prof. Hilborn is in recognition of the profound impact he has had in a 40-year career where he has applied research and scientific investigation to the ever-changing problems of fisheries management and conservation. Hilborn has been the leading voice that has changed public and government perception that overfishing was an environmental disaster that could not be controlled. instead he and his colleagues have documented time and again where fisheries management is successful and have compiled the most detailed global database on fish stocks and catch history to show that in many of the developed areas of the world, fisheries sustainability has been achieved. This message is anathema to Greenpeace, whose fisheries activism depends on maintaining a continuous atmosphere of crisis. The latest attack is a letter to the University of Washington questioning the funding Ray Hilborn has received from 2003 to January 2016. Greenpeace tries to smear Hilborn with the same charges used against Climate Science deniers, who have concealed funding sources in published papers. 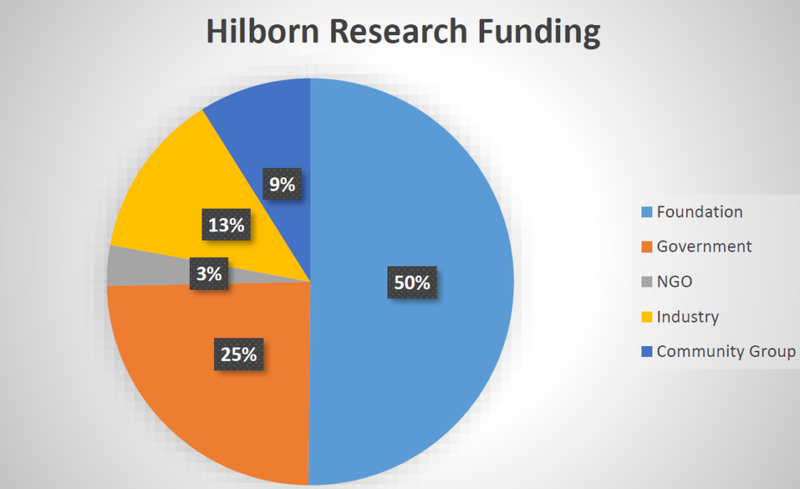 The difference is 1) that Hilborn represents mainstream fisheries science, not radical extremes beyond scientific consensus, and 2) Hilborn fully discloses his financial backing. Of the $3.55 million in industry funding identified by Greenpeace, over $2 million has gone to support the University of Washington field program in Bristol Bay Alaska, a program that is widely acknowledged to be the premier science program working on salmon ecosystems. This is funded partly by Alaskan CDQ groups. The best approach is to let Ray speak in his own words. I think most readers will agree with him that this is a sign of desperation on the part of Greenpeace, as Hilborn is successfully countering its message of imminent destruction of all fisheries. I would like to thank Greenpeace for offering this opportunity to advertise our research and its results. Greenpeace is unable to attack the science I and my collaborators do; science that threatens their repeated assertions that overfishing is universal and that the oceans are being emptied. On the contrary, it is clear that where effective fisheries management is applied, stocks are increasing not declining, and this is true in North American and Europe as well as a number of other places. Overfishing certainly continues to be a problem in the Mediterranean, much of Asia and Africa. This prize is awarded every four years by fisheries science organizations from a number of countries including the U. S., Australia and Japan. In my plenary address I will be showing where overfishing is declining or largely eliminated, as well as where it remains a problem. This is a message Greenpeace seeks to discredit. The essential issue is conflict of interest. Greenpeace seems to believe that industry funding is tantamount to a conflict of interest, regardless of its purpose. Thus, any time I discuss fisheries I would need to disclose each and every grant or contract I have ever received as a conflict of interest. Taking that approach I would also have to disclose funding from all of the environmental NGOs that have also helped to fund our research and education efforts, including the Society for Conservation Biology, the Sierra Club Legal Defense Fund, the Natural Resources Defense Council and the Environmental Defense Fund. Perhaps I would also need to disclose the numerous private foundations and government agencies that have funded our work every time I discuss fisheries. The list of funders would be as long as some of the papers. I, like all reputable scientists, take conflict of interest seriously. This is one reason we acknowledge all funders of the research work discussed in each paper at the end of the document. The other, of course, is to give credit where credit is due. The fishing industry, like environmental NGOs, government agencies, and public and private foundations, are actively involved in funding our research and education efforts that help create and sustain fisheries nationally and globally. In fact, it is in the financial interest of fishing communities and industries to find solutions that are sustainable and provide for healthy stocks into the future. And funding from these groups should be considered part of an inclusive, transparent and honest research process. According to Greenpeace’s calculations, industry funding constitutes 22% of the research funds received by the University of Washington to support research and education efforts I lead. Those monies support staff and students and pay for field expenses. During the period Greenpeace collected data on my grants and contracts, I received $16.1 million in research funding, of which Greenpeace classified $3.5 million as industry. The top three “industry” groups they list are community groups in small Alaskan communities where fishing is the source of survival. These are not big industrial interests but small communities. Of the total industry funding, over $2 million has supported our field program in Bristol Bay Alaska, a program that is widely acknowledged to be the premier science program working on salmon ecosystems. Fisheries issues are contentious because natural resources are limited, directly affect the lives of many, and everybody has, or wants, a stake. My belief is that all voices need to be heard, and all stakeholders need to be at the table. I read your article on Monterey’s squid season with interest. 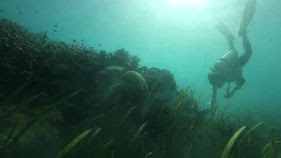 It’s true that El Niño has rearranged the oceanscape for the short term, and the species that favor cooler water conditions, such as anchovy and squid, will return when El Niño conditions dissipate, as appears to be happening now. I conducted a survey of our California squid processors a few years ago, and based on informal calculations, I found that about 30 percent of the catch is either processed here or exported for cleaning and returned here — a processor might export 2 containers of frozen whole, and reimport 1 container of cleaned squid (the recovery rate is about 50% from whole squid to cleaned rings and tentacles). The fact that the bulk of CA squid is exported is due to their popularity in Asian and Mediterranean countries. The bulk of the squid exported from CA is consumed overseas, but that still contributes great economic benefits to California’s fishing economy — in typical high production years years California squid leads the Golden State’s seafood exports in volume and represents close to half of total export value. Many squid processors do process squid here at the request of their customers. But it costs the customer about double to buy fresh frozen locally processed squid. The issue is price: If more customers would be willing to pay the extra cost for local processing, I’m sure our squid processors would be happy to comply. On the issue of carbon footprint, I’m attaching a paper written by Dr. Richard Parrish, who examined the carbon footprint of a range of fisheries around the globe and found that CA’s wetfish / squid fleet among the “greenest” fisheries in the world. The fact is that mode of transport is more important than miles in determining the CO2 footprint, and transport by ocean container ship ranks lowest among transportation methods. Our CA squid/wetfish fleet can produce 2,000 pounds of protein for only 6 gallons of fuel. That fact is worth noting. Saving Seafood ran our op ed on California’s squid fishery some time back, responding to a Paul Greenberg article that appeared in the LA Times. Perhaps it’s time to run a similar piece in the Herald to set the record straight. Thanks very much for your interest in our local squid fishery — and thank you for considering these points. I hope you’ll find this information helpful. Vern Fisher — Monterey Herald The fresh fish display at Monterey Fish Company on Wednesday. Monterey >> If Monterey had a signature restaurant dish, cioppino and fried calamari would battle it out for the top spot. But the common ingredient in each is squid, those prehistoric looking cephalopods (scientific name loligo) that school in the cool, nutrient-rich waters of Monterey Bay. In August a worldwide television audience tuned in for “Big Blue Live,” a BBC-PBS production that showcased our marine sanctuary teeming with sea life, from tiny shrimp to giant blue whales. “Once El Niño showed up things started to look different in the bay,” said Sal Tringali, president of Monterey Fish Company, who oversees a five-boat fleet that provides local restaurants with most of their fresh seafood, including squid. Not to panic; our shared “Serengeti of the Sea” is still a pristine habitat. But warming waters along the West Coast have changed the waterscape — at least for now. For example, local squid fishermen have turned out their bright boat lights because the season is basically a bust. It’s quite typical for squid to move on during an El Niño period, according to professor William Gilly, squid expert for Pacific Grove’s Hopkins Marine Station, run by Stanford University. “We saw a crash in landings in 1997-98 and again in 2009-10 (both El Niño years),” he said. Each time the fishery recovered with the return of the more familiar La Niña. Gilly points to an anomalous offshore “blob” of warmer water (about 3 degrees above normal) that scientists actually began charting two years ago. This caused squid to move north (in this case), with fishermen landing schools as far away as Sitka, Alaska. Surging demand in China, Japan, Mexico and Europe has boosted prices and launched a fishing frenzy worth more than $70 million a year. The vanishing act is a concern to fishermen, to wholesalers such as Tringali and to restaurant owners such as Kevin Phillips, who serves more than 1,000 pounds of fresh squid each week out of Abalonetti Bar and Grill on Fisherman’s Wharf. Abalonetti has built such a renowned reputation as a calamari restaurant that Phillips hires an employee full time to clean and dress squid in a small room behind the restaurant. Much of the local catch — 90 percent of the 230 million pounds landed each season along the California coast — is frozen, shipped to China, unfrozen, processed, refrozen, packaged and sent back to the United States as part of a 12,000-mile journey that leaves one giant carbon footprint. It is genuine California squid, and cheaper and convenient, but the process doesn’t score high in the categories of freshness and sustainability. When you own a restaurant, and customers create a voracious demand for calamari, some sacrifices must be made — especially during El Niño. A fisherman himself, Mercurio relies on his relationship with his comrades to supply his restaurant with seafood. “We know exactly where to source everything,” he said. But these days that’s a challenge. It hasn’t been a good run for the entire Monterey Bay fishing industry. Once known as the Sardine Capital of the World, that fishery is currently closed due to low numbers (sardines are known for their wide-ranging “boom-and-bust” population cycles). Warm waters and a resulting neurotoxin undermined most of the Dungeness crab season. And the commercial California king salmon season started slowly May 1, with Monterey Bay boats reporting meager results. But it’s the elusive squid that has everyone the most concerned.